Hall of the Mountain King: Review: The Cult, "Beyond Good and Evil"
Review: The Cult, "Beyond Good and Evil"
In today's music scene, the words "hard rock" might conjure up images of three-chord, percussive guitar riffs and growling vocalists who all sound the same - or maybe even the rapidly stagnating rap-rock trend. Either way, it's not a flattering picture for most fans of the more melodic end of the genre. 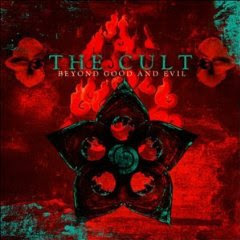 Enter the Cult with "Beyond Good and Evil." 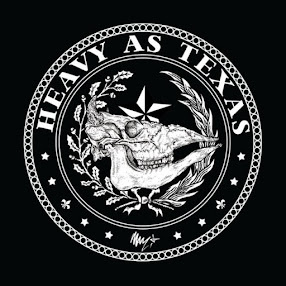 The band's first album in seven years is a refreshing break from all the Korn and Limp Bizkit wannabes that dominate MTV and MTV2. It's nice to hear a band that uses its instruments to their full capabilities and a singer with a distinctive voice - two things that are seriously lacking among many of the so-called "nu metal" bands. "Beyond Good and Evil" offers up a set of blistering, uncompromising hard rock tracks that blend the bluesy rock of the Cult's early albums like "Electric" with the more complex arrangements of "Sonic Temple." The result could be the best album of the band's 20-year career. I have to admit that I've never been a huge Cult fan. I liked "Electric" and a few scattered songs from their other albums, but with most of it, I could take it or leave it. When I heard the first single, "Rise," on the radio in Biloxi, Miss., I thought it was one of their older tunes that I'd missed. It was a few weeks later, when I caught the video on MTV2, that I realized it was a new song. "Rise" is the perfect lead single, signalling the return of the Cult to their hard rock roots after a couple of boring early '90s albums that seemed like just an attempt to make the band relevant to the music scene of the time. "Rise," along with "Shape the Sky" and "Take the Power," are raucous rockers with some infectious hooks - something this album has in abundance. In fact, "Take the Power," is almost one long hook. It's one of those songs that gets in your head and won't leave. "Beyond Good and Evil" features a harder edge than the Cult's previous offerings, as the band thrashes through some scorching tracks like "War (The Process)," "The Saint" and "My Bridges Burn." But the band doesn't neglect the softer side. Providing a balance to those all-out rockers are a couple of power ballads. Unlike the groaners of many of their '80s contemporaries, the Cult's slower songs have depth and elaborate arrangements that make them more interesting. The beginning of "Nico," a song dedicated to the singer of the Velvet Underground, is reminiscent of the band's hit "Edie (Ciao Baby)." But the song quickly gains momentum, with an uptempo drum beat and some exotic-sounding guitar licks. "Nico" is topped off by a heavier chorus, backed by an oddly-fitting string arrangement. The other ballad, "True Believers," is a more melancholy tune with some strange guitar work and a nice heavy break near the end. Where the band truly shines, though, are the songs that capture both ends of the spectrum. A good example is "Ashes and Ghosts," which starts off with a heavy riff, then fades into a spooky, ethereal chorus. "Breathe" opens softly, then catches a good groove on the chorus with some soaring interludes scattered throughout the song. "American Gothic" is a darker song than the others on the album - and also features an explosive chorus offset by some exotic, goth-style guitar work. With "Beyond Good and Evil," the Cult has provided a sonic assault that's a welcome relief to the ears of a fan of good, old-fashioned hard rock. But they do it with enough panache to please listeners who are looking for something a little deeper, as well. Get "Beyond Good and Evil."